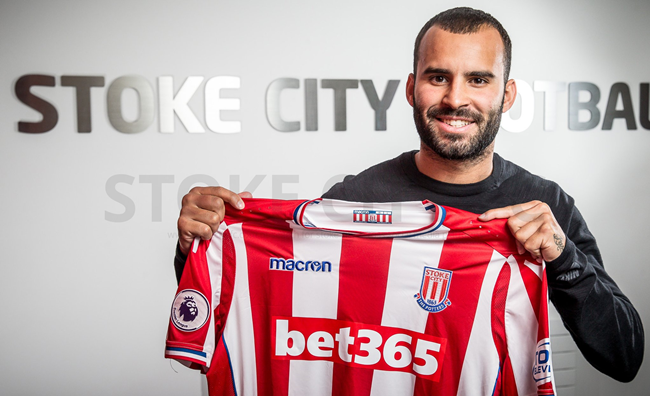 In what surely must be the first recorded interaction between the two sides, Stoke City have signed Jese Rodriguez from PSG. Jese made just one start for PSG last season after joining from Real Madrid in a £20-odd million transfer the summer previous. Jese was a man in demand when PSG made it clear they would allow him to leave on loan and we’re delighted he has chosen to join us. He hasn’t had the happiest of periods in his career in Paris but he’s still only a young man and is hungry to make a big impression in the Premier League. Weirdly, Stoke’s squad now boasts more Champions League winners than any other in the Premier League, with five of their players – Jese, Xherdan Shaqiri, Darren Fletcher, Bojan Krkic and Ibrahim Afellay – all having lifted the big cup in the past. Chelsea are next in line with four, while Man City are third in the list with three.